Rabat - PSA Group’s automotive plant in Kenitra will double its annual production capacity to 200,000 cars in 2020 at a cost of €560 million. Morocco’s Minister of Industry Moulay Hafid El Alamy and Jean Christophe Quemard, PSA Group’s executive vice-president in Africa-Mideast region. Rabat – PSA Group’s automotive plant in Kenitra will double its annual production capacity to 200,000 cars in 2020 at a cost of €560 million. 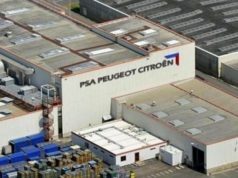 PSA Group’s Kenitra plant, which will produce 100,000 cars in 2019, decided to double its annual production capacity to 200,000 in 2020, announced Jean Christophe Quemard, PSA Group’s executive vice-president in Africa-Mideast region. 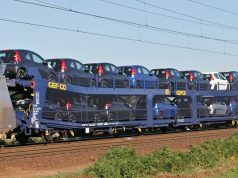 Quemard made the announcement Tuesday, September 4, in a press conference at PSA Group’s plant headquartered in Kenitra, 40 kilometers north of Rabat. Morocco’s Minister of Industry Moulay Hafid El Alamy attended the conference. 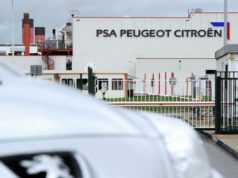 The French car manufacturer made the decision because of the “excellent partnership” between PSA Group and Morocco and the company’s international success, especially in the Middle East and Africa, explained Quemard. In 2017, PSA Group’s worldwide sales reached a record of 3.63 million vehicles compared to 3.15 million in 2016, up 15 percent. The group’s sales in the Middle East and Africa region grew by 61.4 percent from 2016 to 2017, selling 618,800 units, including 26,800 Opel units. “The PSA Group has set up a comprehensive system in Morocco covering the entire automotive value chain. Our project has no equivalent in Africa,” said Quemard. 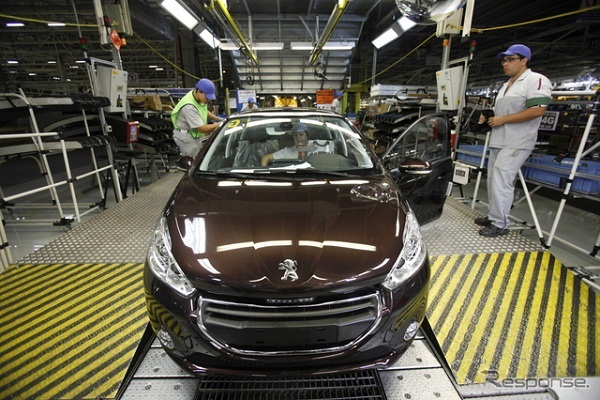 “The Kenitra plant is the best performing of the industrial plants of PSA Group,” he added. 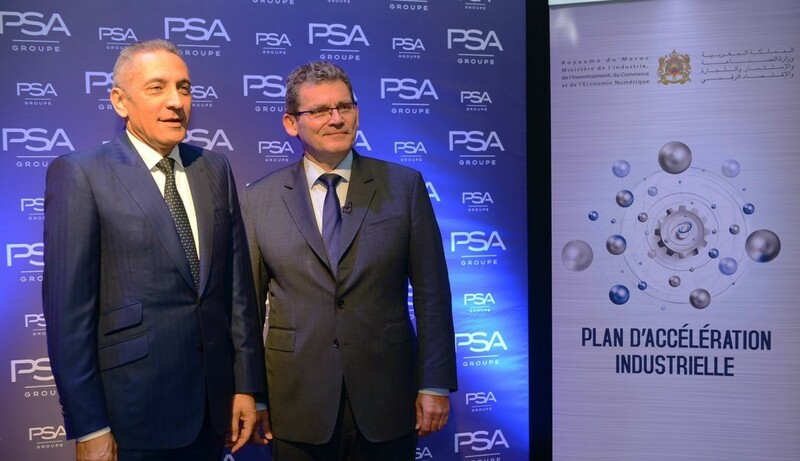 Morocco and PSA Group set ambitious objectives for automotive production. The production will mainly rely on Moroccan suppliers to achieve a local integration rate of 60 percent in the short term and 80 percent in the long term. In addition to engineering, conception, and production, PSA Group will also use locally-made engines. With the arrival of PSA Group, the automotive ecosystem in Morocco will be supported by 62 supplier sites, including 54 to be delivered to the group’s plant in Kenitra. “The PSA Ecosystem unfolds with sustained pace of important achievements. The network of actors is diversifying with the establishment of new equipment manufacturers; the integration rate is developing; the volume of local purchases is growing and an R&D ecosystem is being built,” said the minister. The PSA Group anticipated that local purchase volume will exceed €1 billion by 2022. The PSA Group’s industrial project in Morocco is based on the creation of a complete automotive ecosystem. The group has five car brands: Peugeot, Citroën, DS, Opel, and Vauxhall. The Kenitra automotive construction site started at the beginning of 2017. By the end of 2017, PSA Group had a total workforce of 350 in Morocco. According to the Moroccan Ministry of Industry, the workforce will reach 1,000 people before the end of 2018, and will double again in 2019 to reach 2,200 people. The PSA Group in Morocco hopes to eventually generate more than 2,000 direct jobs and 20,000 indirect jobs. As part of the agreement between Morocco and PSA, the group inaugurated Morocco Technical Center (MTC) in July 2017. MTC is a research and development center which will employ more than 1,500 of PSA’s Moroccan engineers and highly qualified technicians.